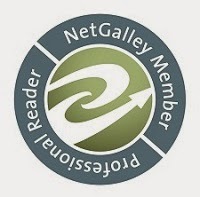 I don’t believe I’ve ever done this before in one of my reviews, but I really want to thank the author’s publisher for approving my request on NetGalley for ‘Til Death Do Us Part. I grew up on historical romances and when I happened upon my first Amanda Quick novel at the local used book store & swap shop, I became hooked on her independent heroines and not-quite-perfect heroes (at least by the Ton’s standards). It became my obsession during our monthly visits to scour the book store’s shelves and milk crates full of used books to find the Quick novels I hadn’t yet read until I read all that had been published. Quick’s novels were among the very few that I would save my allowance for in order to buy a brand new book when it was released, including a few hardbacks once I had my first job at sixteen. So much like my recent experience reading Secret Sisters written under the author’s Jayne Ann Krentz pen name, ‘Til Death Do Us Part was a long overdue reunion with a much-loved author, taking me back to my teens when I saved my quarters, scoured shelves, and devoured Quick’s books over a weekend or two. 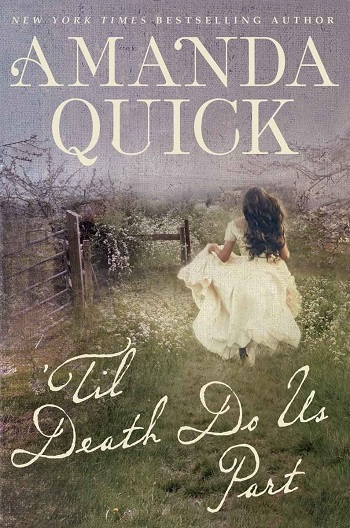 ‘Til Death Do Us Part gave me everything I came to love in Quick’s historical romances, and then some. Rather than fading into the country or becoming bitter in her spinsterhood, Calista Langley seized the opportunity that her grandmother’s passing provided and established a successful business that allowed her to provide for her and her younger brother. Of course, because going into a “trade” was cause for scandal and being shunned by the Ton, Calista’s introductions agency is very exclusive and referrals are provided very discreetly to persons who can appreciate the service that Calista provides. While things have been going well, the recent delivery of some rather disturbing gifts from an unknown sender and the intrusion of Trent Hastings, the brother of one of her female clients, throws Calista’s carefully controlled world into disarray – especially when it becomes clear that the gifts are not from an admirer, but from a stalker who seems to harbor an unhealthy obsession for Calista. I rather enjoyed Calista’s first meeting with Trent and can’t help but think that even without her being on edge because of what she was dealing with, it would have gone down exactly the same way. Fortunately, their second meeting was better timed and had a very exciting outcome with Trent being compelled to channel his inner detective and help Calista determine who seemed to be set on causing her harm. If they just happened to find love along the way, all the better. I loved the banter and interactions between Calista and Trent. Calista has a dry wit that the author uses to lighten the atmosphere when the characters need it the most. Quick does an excellent job of giving Calista and Trent several plausible suspects and even the things I knew as a reader that they did not, left me wondering if they meant what I thought they meant or if I was just supposed to believe they did – the classic “Can I take it at face value?” conundrum. As I read ‘Til Death Do Us Part it made me realize where my love of romantic suspense novels originated from because Quick writes mystery and suspense skillfully. I found that the balance between the mystery, the action, and the romance made for a wonderful read. Calista and Trent’s siblings were delightful side characters and I loved that Trent’s admiration for Calista’s intelligence and resourcefulness was a consideration he had for his sister as well. As for the whodunit, I was indeed fooled and certainly didn’t expect that part of the storyline to play out as it did. ‘Til Death Do Us Part was, for me, a great adventure and an excellent reunion with a much loved author. I look forward to discovering what books I’ve missed out on in the intervening years. The author of a string of New York Times bestsellers, Jayne Ann Krentz uses three different pen names for each of her three “worlds.” As Jayne Ann Krentz (her married name) she writes contemporary romantic-suspense. She uses Amanda Quick for her novels of historical romantic-suspense. Jayne Castle (her birth name) is reserved these days for her stories of futuristic/paranormal romantic-suspense. Reviewers on the Wicked Reads Review Team were provided a free copy of ‘Til Death Do Us Part by Amanda Quick to read and review.